The longer I live the more I seek to learn. I am consistently looking for the lesson of the day. I am intentional about being of service to others routinely. I often find myself observing how people act when they do not get their way. I have concluded that this is when we are most authentic. I gravitate to people who consistently provide a valuable service to others, while demonstrating great skill at their chosen profession or life’s work. My siblings and I are fortunate to have had Hattie Mae as our mother, mentor, fan, critic and nurturer. She taught each of us different lessons. She taught me to always to do my best. She would often say, Angela if you sweep the floor, then I expect that it is the best swept floor ever. She valued formal education as well as proven life skills. In 2015, I found myself on my knees (so to speak) more often then anytime in my life. I experienced personal loss and health setbacks as the year began. In February, the one person in the universe who new the gaps between my reputation and my character, transitioned while deployed in Afghanistan. This was hard. The year ended with me fully transitioned from a structured military environment to a unstructured business ownership environment. The good news is I learned something new everyday. The great news is each day seemed to get better and better because of the authentic and transparent people God continued to place in my path. The six things I learned from six people is really not earth shattering, they simply confirm that the lessons Hattie Mae taught me are still relevant. A 15 month deployment is a long time to work side by side someone for 15 or more hours a day. There was no break for us. We intentionally developed camaraderie and respect for one another. The gaps between our reputations and our character was revealed. Although uncomfortable, I love how he held me accountable. Everyone needs an accountability partner. He taught me that I did not know everything and that good leaders share the spotlight while absorbing all of the blame. He also taught me that I could be strong, authentic and transparent simultaneously. He actually taught me a bunch of things. The most significant lesson I learned from Tim Livengood was to listen to understand with empathy. 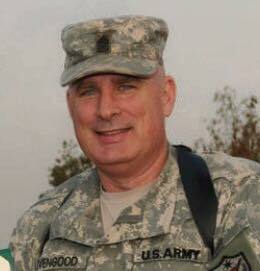 On February 3, 2015, Tim Livengood died a week before his final redeployment. He had retired from active duty and was serving as a contracted employee in Afghanistan. He was making plans to reconnect with his family, loved ones and friends. Although his earthly body has departed, his legacy lives on through me and countless others. Dr. Williams is like a chameleon. She is a results oriented, business minded professional. Her most impressive attribute is that she is kind. Patrecia is a former senior federal government civilian employee who knows her way around the hallowed halls of the pentagon. She earned the rank of Major in the U. S. Army Reserves. She has supported three separate military campaigns; Bosnia, Kosovo and Iraq. Although she has a full time job, the majority of her time, energy and effort is devoted to “The Organization of Hope (OOH).” It is her labor of love. Patrecia founded OOH in 2009. It is a service organization dedicated to enriching lives and improving communities throughout the Greater Washington and Baltimore Metropolitan Area. I met Major Williams while I was still serving on active duty and assigned to the Soldier Support Institute. Someone in the unit asked her to talk to me about transitional housing after I mentioned that I was considering operating transitional houses as my post retirement career path. After one conversation with Major Williams, it was clear that she has an dept of knowledge about transitional/ half-way housing. She freely provided useful business tools, proven techniques and associated information. Quite frankly it was overwhelming. After she allowed me to walk through two of her transitional houses, located in Baltimore, Maryland, I realized that I did not want to run transitional/ half-way houses. This act of kindness saved me lots of time, energy and money as I transitioned from active duty to a veteran status. Patrecia taught me that confident women (and men) share successes and information.She enthusiastically wants others to win and move forward in their lives. Although her schedule, as you can imagine is tight, she intentionally makes time for anyone who asks for help. Patrecia is purposeful in her actions. She is a unabashed strategic risk taker. Her work ethic is greater than anyone I have ever known. She simply gets stuff done. The neatest thing ever is that she is humble and unassuming. I learned from observing Patrecia that if I want to have a sustained level of success in AMO Consulting Solutions, LLC , I must always over deliver. Andre is a man of integrity. Andre’s impressive resume denotes his extensive experience as a human resources specialist, recruiter, contracts administrator, staffing coordinator and program/ project manager. It’s obvious that Andre parlayed the skills he learned while serving honorably in the U. S. Air Force for over 20 years. I am impressed that Andre is well-rounded and takes his work serious without taking himself too serious. Andre masterfully runs the daily operations at Jamison Professional Services. I met Andre at a “Leave No Veterans Behind Opportunity Fair and Expo” in September 2015, during the first month of being retired from active duty and one month from starting AMO Consulting Solutions, LLC. People were buzzing in and out of the useful workshops and hiring fairs. I approached Andre in the crowd of folks and asked him to clarify some nuances about the event that I did not understand. He stood in the middle of the hallway and patiently answered my questions. I offered to buy him lunch if he would not mind answering the gazillion more questions I had. I am grateful he obliged and scheduled time for me to visit his office. Andre taught me that relationships matter. He willing supports me and provides information and guidance. He is teaching me to establish business processes and network by sharing his experiences. He has no idea that I am way outside of my comfort zone (or maybe he does and that’s why he continues to help me). During one of our conversations, Andre informed me that he checks people’s LinkedIn profiles to ensure that they are professional and credible. Because of him, I am consistently improving my social media presence. I am taking classes, reading blogs and gaining a better understanding of who uses specific social media sites; LinkedIn, Facebook, Twitter, Instagram, Google Plus and Pinterest. I am sure he did not know the impact his words had on me. Laura is consistently a team player. She organized our high school’s 30th year anniversary celebration, serves as a catalyst for news worthy events for our high school class and is a source of tremendous pride for our classmates. 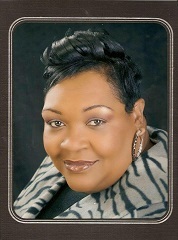 She represents Murrah High School’s class of 1984 at various events. Laurataught me the true meaning of camaraderie. I met Laura at G.N. Smith Elementary School. We attended Chastain Junior High School and graduated in 1984 from Murrah High School together. One of the things I admire about my childhood schoolmate is her willingness to help any and everyone in need. I often whisper a prayer for her supportive family. 2015 makes the sixth year Laura has led a humongous effort to sponsor families in need during the Christmas season. She simply asks her family, loved ones, friends, and anyone able to financially and physically help, to join her in her effort to sponsor families in need. I trust her and know that she have vetted the families and is a good steward of the monies she receives. I pray she establishes a 501(3) (C) tax exempt non-profit organization, so that she may be of service to many more families. I know you are thinking I cheated by clumping my mother and siblings together. In my head we are one. We are Hattie Mae’s seeds. Our mother really only got upset with us if we argued or fought with one another. She told us that there would be plenty of people in the street that would want to fight us or demean us. She insisted that we always support, love and cherish one another. Because of her love, guidance and spankings, we are a close nit group of folks. We are one! All of my life I have been supported by each of my siblings. They keep it real and keep me grounded. I am the youngest girl of six children. We lost our baby brother in 2009. We leaned on one another when our matriarch passed away in 2011, our step-father in 2014 and our father in 2015. We pray, eat, laugh and stick together. 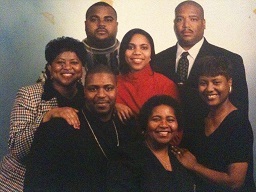 My siblings taught me to continue to focus on the values our mother espoused; God, family and kindness. I love the fact that we still enjoy one another’s company. Ryan saved my life. His presence in my life takes me out of my comfort zone almost daily. He is a gregarious, intellectual young man. His laugh sometimes startles me because it comes from deep down within him. A few weeks ago he announced that he wants to be a herpetologist. Before he made the announcement I did not know what the word meant. Ryan taught me to align my efforts and energies with what I profess to be my priorities. I learned to stop comparing my inside with others outside. Last year I dreaded going to his school, because it was filled with horrible encounters. 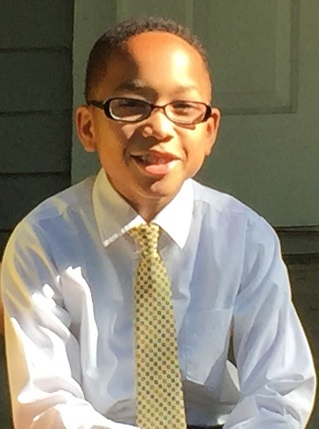 Ryan attended four different schools in four different states by the time he was in the fourth grade. For so many years, I gave the majority of my time, energy and effort to my profession, to my Soldiers and to others. I somehow expected my son to just “get it.” Boy was I in for a rude awakening. I was the weak link when one is considering the triad of teachers, students and parents. It is my responsibility to teach him accountability, responsibility, safety and respect. Once I decided to retire from the Army and align what I said was important to me with what really is important; his behavior changed. Now, I know a herpetologist is someone who specializes in the study of reptiles and amphibians. I was grateful to serve as a chaperone on his 5th grade field trip. Its not perfect, but, now I love walking into his school because I am no longer the weak link. Final Words. I learned a lot of things from a host of people in 2015. I transitioned from the greatest Army on the planet after serving honorably for over 26 years to the life of a proud military veteran. After taking the leap of faith to start a Veteran-Owned Small Business, I am grateful to have learned from these particular people in 2015. The overarching theme of each of them is character, values and relationships always matters. 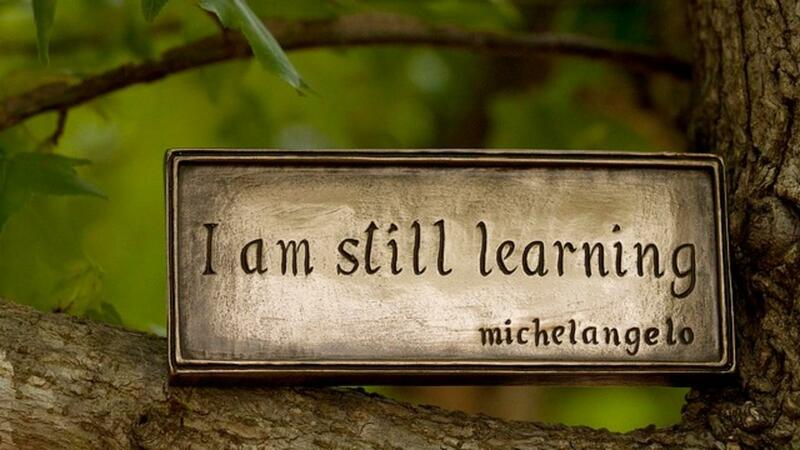 I am hopeful that I am teaching as much as I am learning. I choose to intentionally broaden my circles and broaden my experiences in 2016. The sky is the limit. I am curious to know who you observed and learned from in 2015 and more importantly if they know. Please share this article, make comments below and subscribe to my blog atwww.angelaodom.com where we empower through proven life experiences. If you are so inclined to provide a testimonial I would be forever grateful.